This portfolio is a fairly new Rancho Santa Fe pool service client. 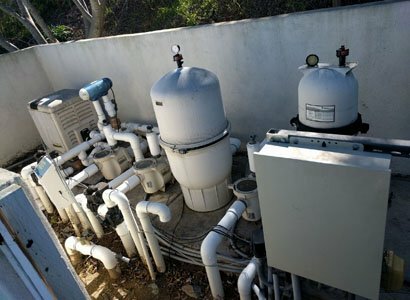 After purchasing their new home, they were in need of a good Rancho Santa Fe pool service company and a pool filter clean. On our initial visit to perform a pre-site/ evaluation of the overall condition of the swimming pool and spa we found a few things. 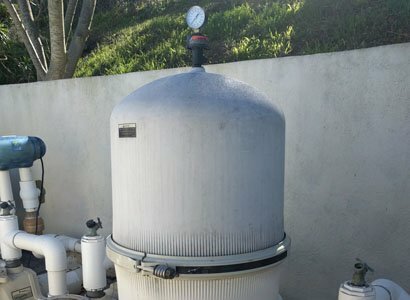 For the most part, the builder of the swimming pool used Pentair pool equipment along with what looks like an after thought of a Jandy salt water chlorine pool system. Today we are focusing on replacing the Pentair Clean & Clear Plus pool filter cartridges. This was determined after we performed the initial pool filter clean but the flow was still not doing enough to keep the pool clean. 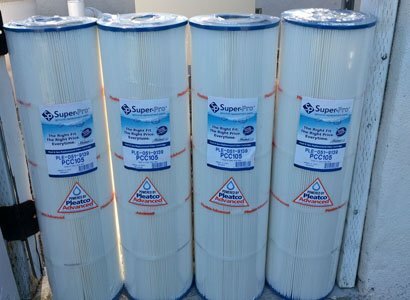 Today we are going to install new Pentair 420 sq ft Clean & Clear pool filter cartridges as the initial pool filter clean did not fix the issue. Because we perform the weekly pool service, we can figure out over a short period of time what the problem with a swimming pool or spa is. 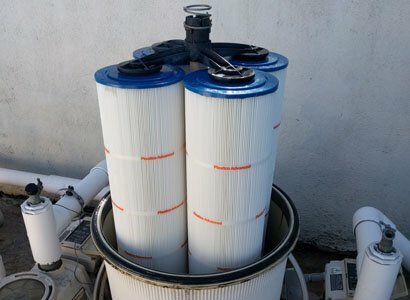 When you have the pool water chemistry balanced and there is something wrong with the look of the pool, it is often needing a thorough pool filter clean or new filter cartridges. 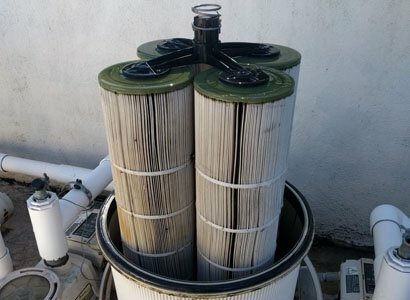 By replacing the pool filter cartridges after attempting the pool filter clean on this Rancho Santa Fe pool service customers filter, the pool cleared right up and the pool water chemistry started staying in balance week after week. If you are in need of pool service and you live in Rancho Santa Fe or another area of San Diego, we can help. Feel free to contact via phone or email and we will do our best to help solve your problems.